Let's get closer to understanding washes, before we attempt anything else. 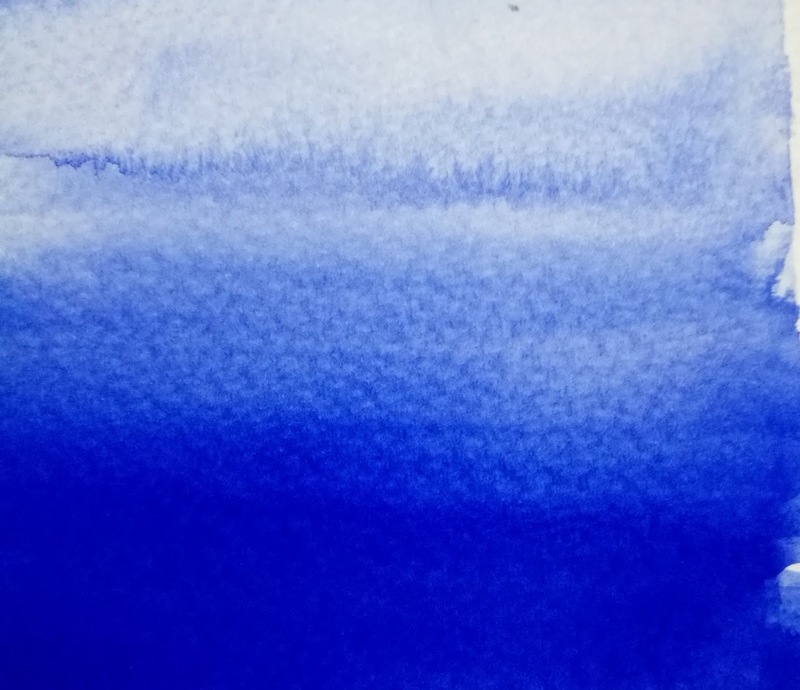 These are the foundation to learning watercolours! Let's start with a graded wash! Get your gear - paints, paper, lat brush, palette, tissue and of course, WATER! You can do this on one sheet by dividing the space with watercolour or painter's tape. The first graded wash is simple yet exciting as you see the colour strengthen and fade into nothing! Chose any colour you like ultramarine blue, cobalt, alizarin crimson, cadmium yellow, red or any colour you like! Soak your flat brush with pigment with very little water. Just enough to move the brush smoothly. Practice on newspaper, rough sheets so you can be sure. As a sketch book you could use 180 gsm watercolour, paper for practice. I do that for my night sketches. Wet the area you're going to paint. 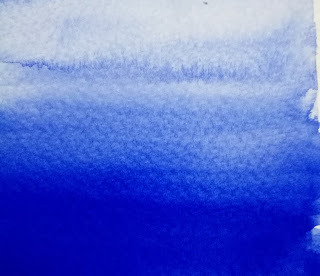 Fill your flat brush with pigment and move it on the paper in short strokes or one long stroke.Continue in strips till you need fresh paint. Soak the brush in paint and start from the starting point and repeat the process. Don't worry if you drop a little water or paint. Enjoy the process. Continue till the area becomes light on top and darker at the bottom.! Isn't it a wonderful SPLASH!. Practice till you're perfect. You could mail me or put your comments below. Any question you have, I will answer to the best of my ability. Till next time, splash some watercolours into your life!